This really jumps off the page. Wonderful. Lovely shot and so inviting looking. Beautifully framed... love the textures in the bridge! Lovely framing for this wonderful scene. 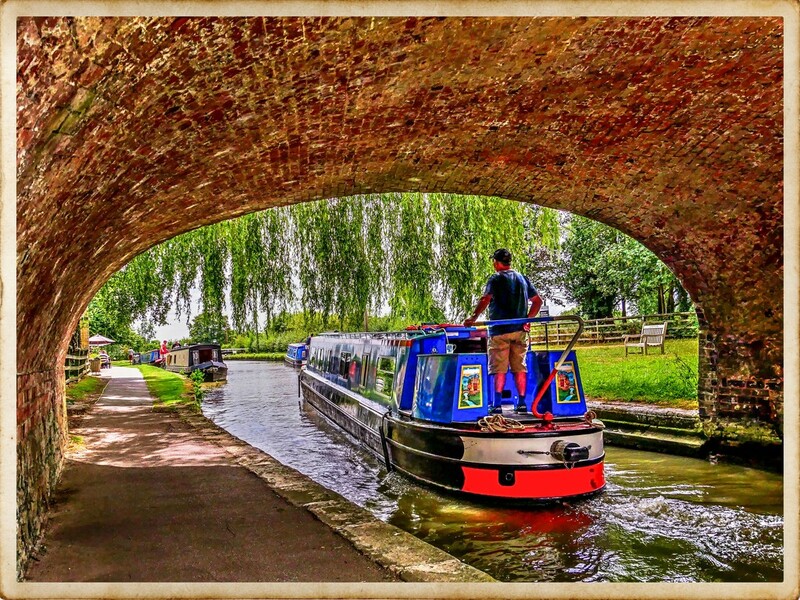 I never get tired of seeing your pictures of the narrow boats in the Grand-Union-Canal. Lovely edited. A lovely shot and edit ! Wonderful strong colour, works beautifully. beautiful brickwork under these bridges. the curves and construction of the bridge shows up well through this. Beautiful shot and colours. I like how you framed the boat with the bridge. This is wonderful! I’d like to take a seat by the canal and watch the boats! Nice framing and such rich color!